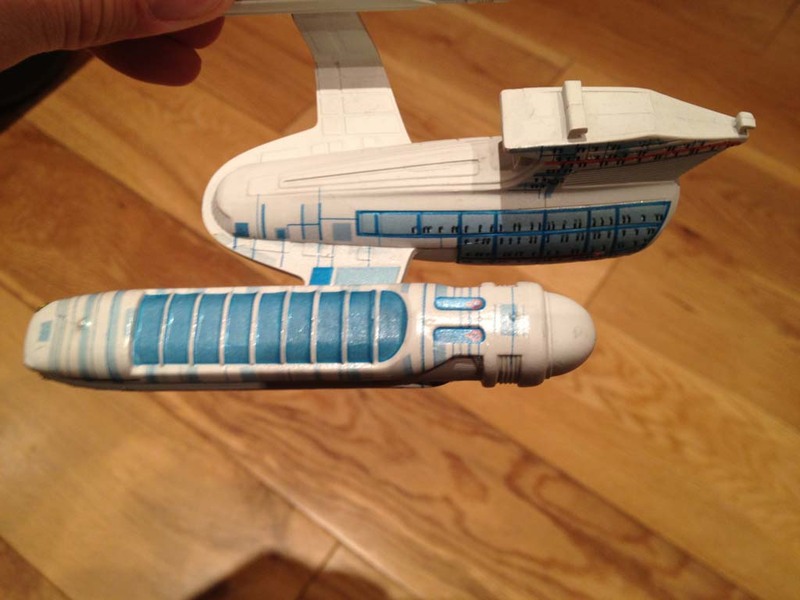 Finished adding the decals last night and now just got a little bit of painting to do (the bussard collectors and the deflector) and it will be done. So will give the decals a couple of days to dry totally and then get it finished. So next update will be the completed model. Not sure I like the decals for this set very much. Real fiddle to get them lined up and few places where the printed windows don’t seem to match the engraved windows on the model. Would probably have been better if I had filled them all in prior to starting. But here is the progress. 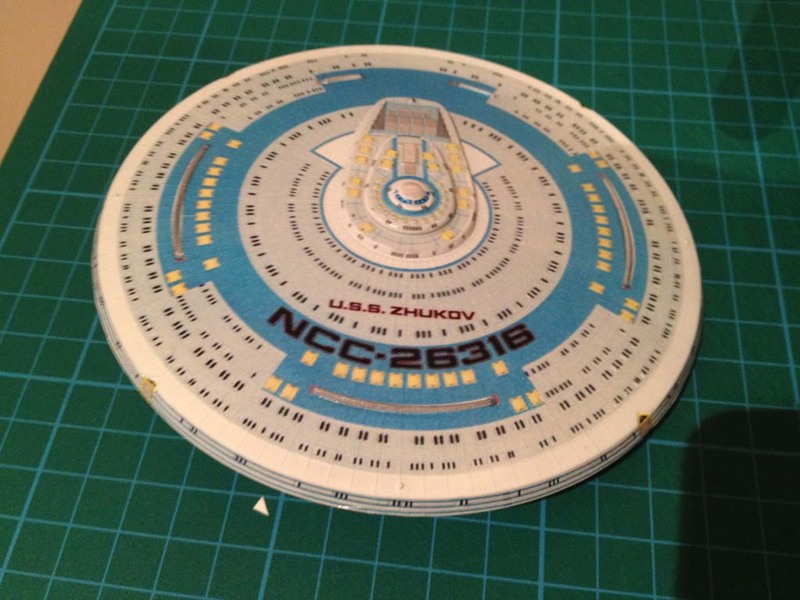 First the underside of the saucer section. And this was the first side completed. Hopefully holding it will give you an idea of the size. 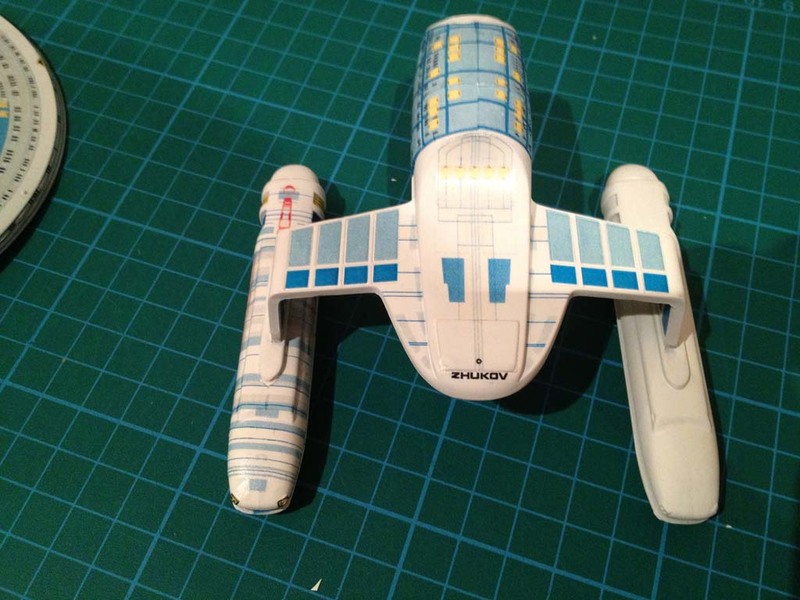 And this was the secondary hull after completing the second side, all bar the nacelle (only because I needed something to hold it by while the other decals were still wet). 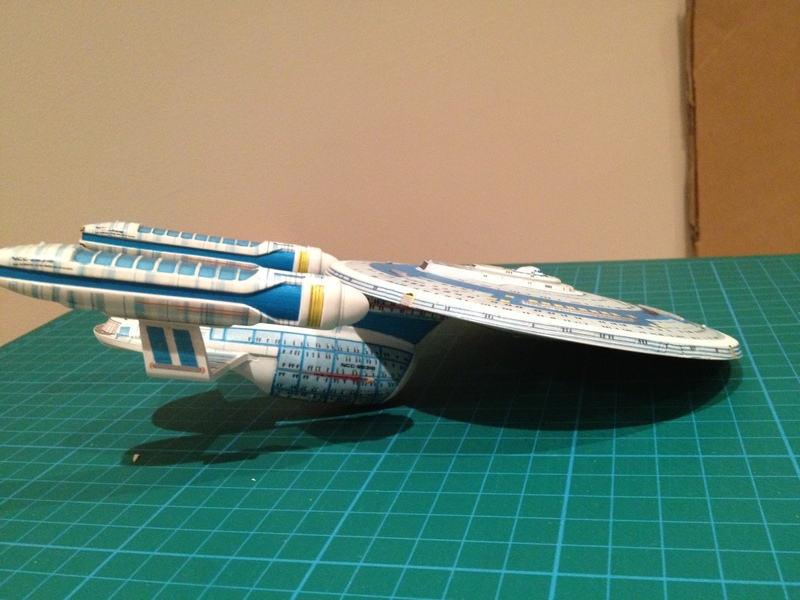 Getting the large transfers which wrap around the secondary hull to align was a royal pain. It’s not 100% even now but they are so thin they were starting to tear as I had to try and move them so many times. Will have to do. 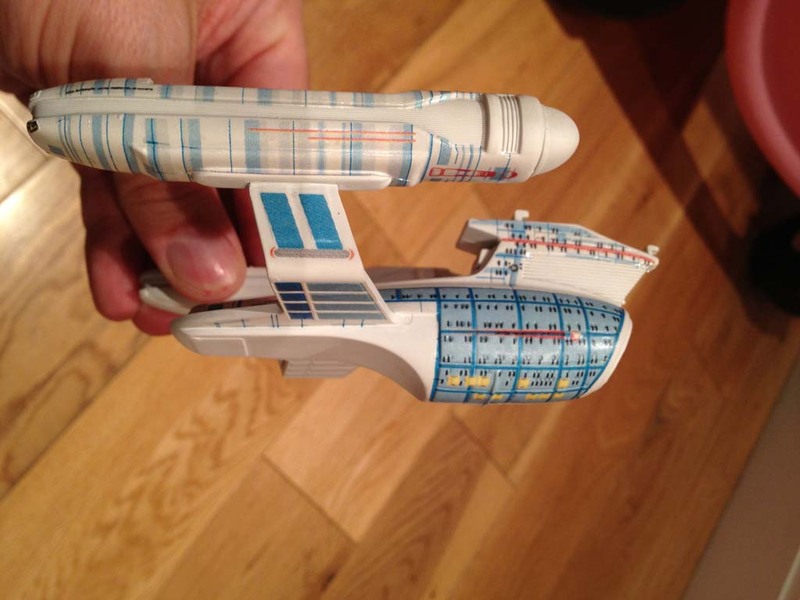 And the sharp eyed will have spotted the ship name, which has now been applied to the primary hull. 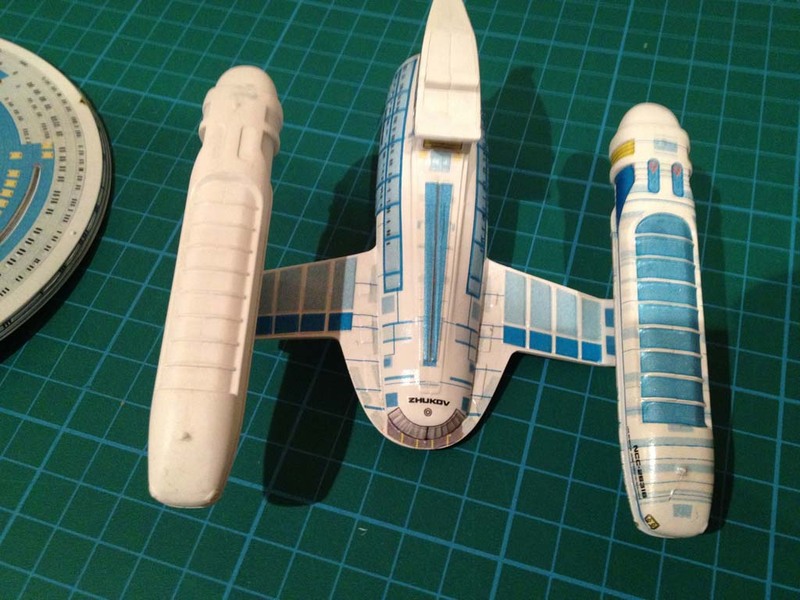 As I was adding the old Star Trek models to this blog I got a bit of a hankering to do a new one. So went up into the loft and had a good rummage around and found a lot of my old 1:2500 models (I had a bit of an addiction to them at one point and got quite a few including resin ones of the more unusual ships). 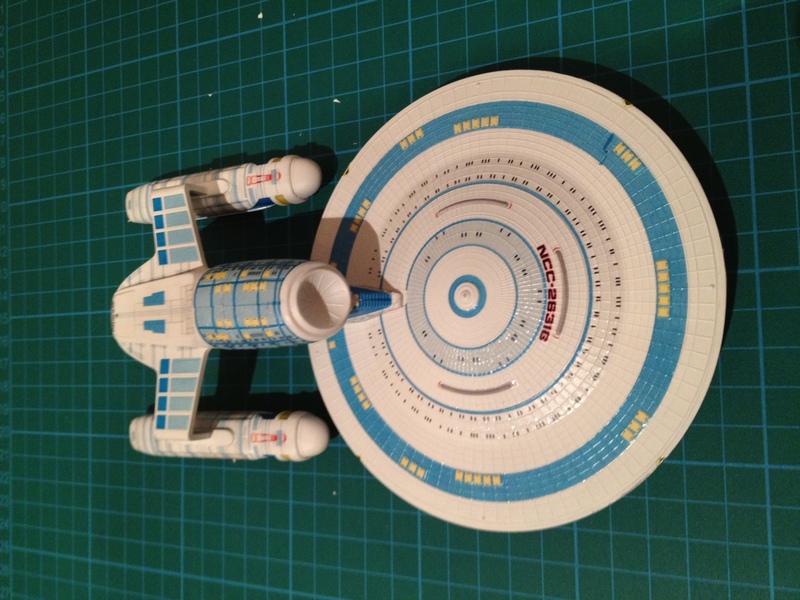 And in looking found a basically complete Ambassador Class model. 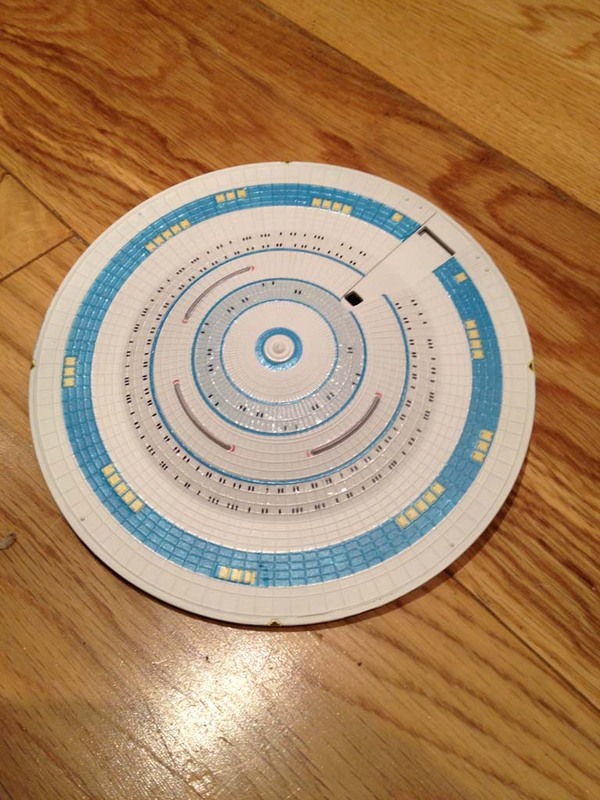 It had been fully assembled at some point in the past with the exception of gluing the saucer to the main body. So for a quick fix this was going to be ideal. I gave it a quick respray with some Halfords White Primer and then got cracking with the decals. 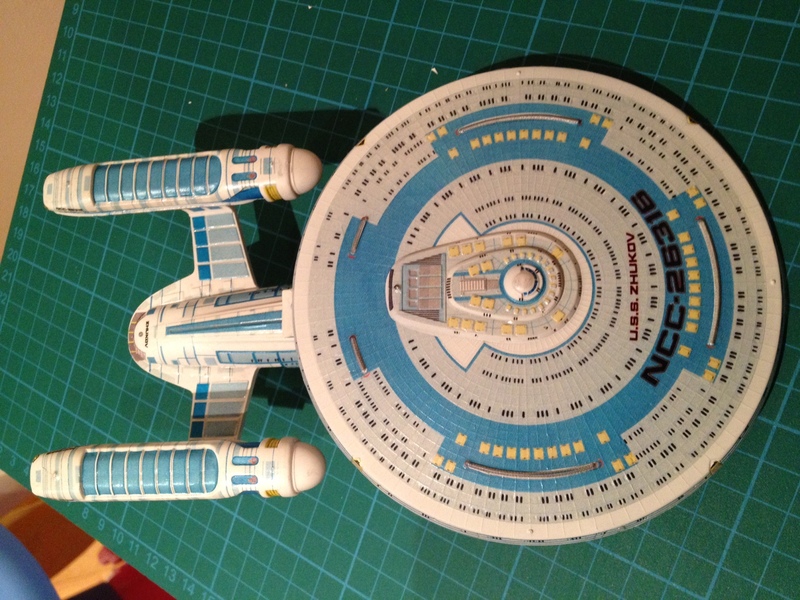 As with the USS Sovereign the decals cover the majority of the surfaces and the one on the top of the saucer is basically the size of the entire thing with the centre area cut out so the bridge can fit inside the decal and also the phaser banks. Very scary applying it though and after a failed attempt to slide it on I floated it in a large bowl of water and the lifted the saucer up underneath it. Because of its size, and how fragile it is with the missing sections, I didn’t quite get it into the perfect position but it is only a fraction out. 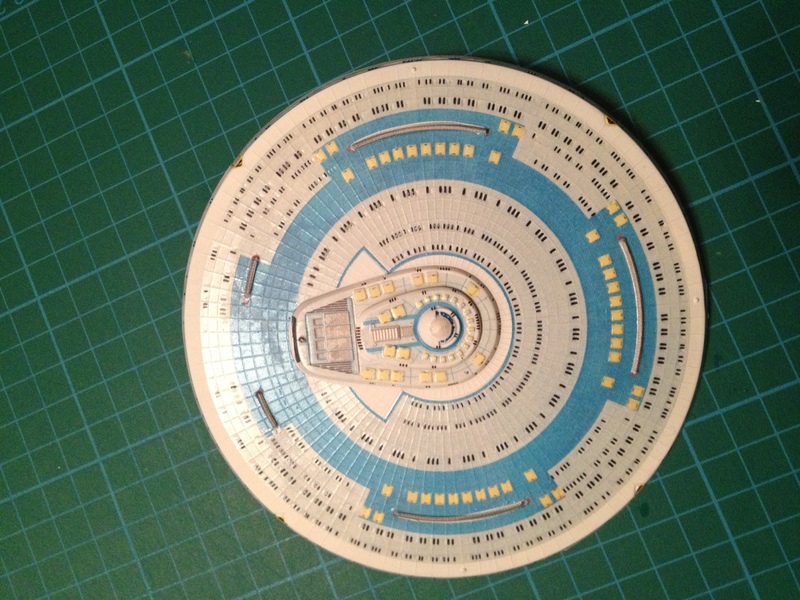 The other decals for the areas around the bridge and around the edge of the saucer where then added. So not bad progress for a short period of time. More to come.